← What Would Your Life Be Like If No One Could Push Your Buttons? I want to convey to you how serious this kind of distraction can be. This person is a single parent with teen-aged children and holds a responsible position which he earned after working their way through college while supporting his family. This person has been able to set goals and work through many obstacles, except when it comes to self-improvement. 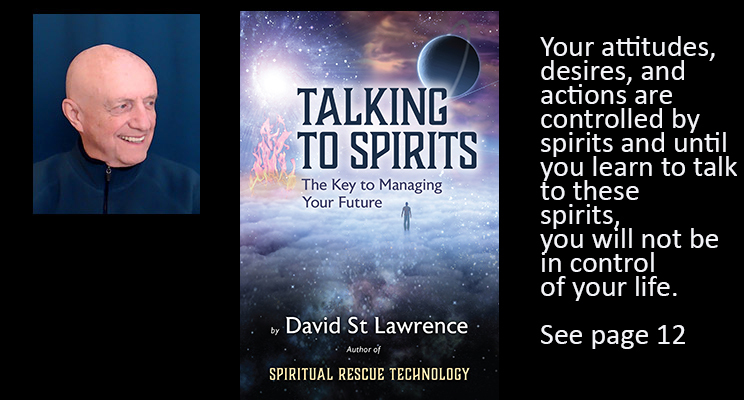 For more information on how spirits influence and control your life, read, “Talking To Spirits“, available on Amazon.com. This entry was posted in Achieving Peace of Mind, Spiritual Counseling, Taking Control of Your Life. Bookmark the permalink.